Parpati literally means crust. They are called so because of their typical crust like appearance. 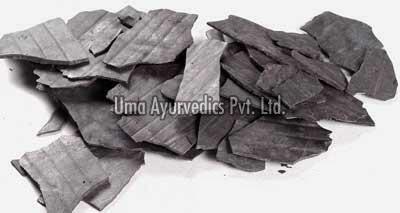 It is the introduction of the parpati by pioneer of Indian pharmaceutics Acharya Nagarjuna in his treatise Rasendra mangal written in 8th century himself for treatment of obstinate skin disorders that pioneered the use of mercury as a therapeutic agent for internal use. Their introduction revolutionized the management of GIT disorders and harbingered a new era in treatment of Pediatric problems. They are prepared by cooking kajjali (special black compounds made by triturating Mercury and Sulphur together in a crucible) at temperature of 115-120 oC and then pressing it between two flat leaves like that of banana and let it cool down by itself. By doing so mercury is freed of its undesirable properties and gets impregnated with detoxifying and rejuvenating properties. The preparation of the qualitatively supreme and therapeutically effective Parpati is an art which requires great deal of knowledge of science of the pyrometry and Indian pharmaceutics. If prepared by unskilled hands it may remain half cooked or over cooked which would devoid it of its therapeutic efficacy and safety and may cause adverse effects. We UMA AYURVEDICS PVT. LTD. with our 70 years of experience and expert guidance of leaders of the field of Indian Pharmaceutics assure our customers of the uninterrupted supply of the supreme quality of the Parpati. We have achieved expertise in providing Abhrak Parpati, Bol Parpati and Lauh Parpati.